Robert Ellison appears in court. 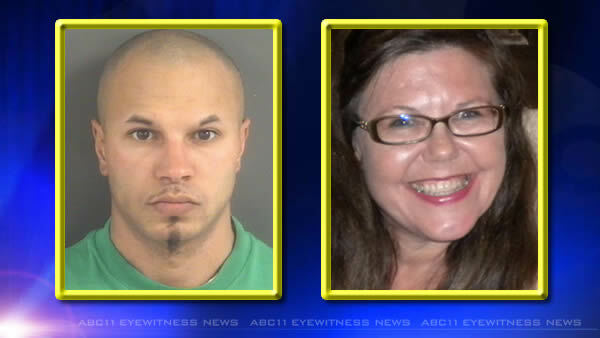 CUMBERLAND COUNTY, N.C. (WTVD) -- A jury has found a Hope Mills man guilty in the 2011 murder of his mother. Robert Ellison, 33, was convicted of first-degree murder in the strangulation death of Edwardyne Williams. A week-long jury trial ended Monday with Ellison receiving a life sentence without parole. Just days after Thanksgiving 2011, Williams' body was found along Chickenfoot Road, not far from her abandoned car and Canady Pond Road home. Prosecutors said Ellison continues to deny killing his 50-year-old mother, just as he did during a 2012 hearing. While prosecutors lacked DNA evidence, a witness, and a confession, they said key evidence was actually in a set of keys. Ellison, they said, possessed his mother's car keys following the discovery of her body. Meanwhile, her signature Betty Boop keychain was hanging in their home, in a location where she would not have placed them, prosecutors said. Cumberland investigators believe resentment was the motive for murder. "He had always had ill will with his mother," said Cumberland County District Attorney, Billy West. "What came out in testimony is that he had not had a very good life in his opinion. He had been to prison for a stint. He'd always had a difficult life, and he blamed a lot of that on his mother whether that was fair or not."